How excited are you for a brand new POW, Pick of the Week Podcast?! Whoa, whoa, whoa, it’s okay to be excited, but you might want to tone it down a little bit. Nah, forget it, go crazy! You’ve earned it, you had to go an entire week without one of our patented POW podcasts, nobody blames you for going crazy. It’s a great week because we got Simon, Ian, Ken, and Sheldon this week, and they got tons of stuff to talk about!What kind of stuff, you ask? Comic stuff, that’s what. What, are you new? 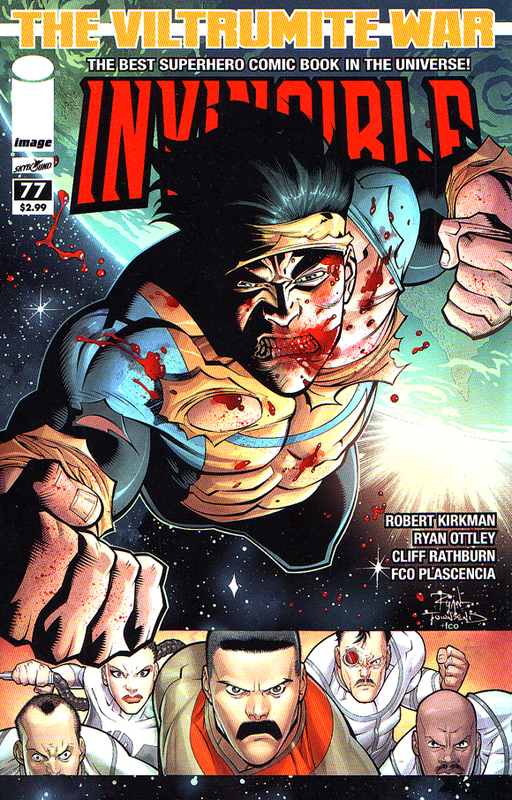 Ken had the pick this week, and he decided to go with Invincible #77 for the pick. Did you read it? You should have, it was awesome. And if you didn’t read it you better go pick it up because I want a 500 word essay on how awesome it was by the end of the week. You better get cracking. In addition to Invincible the team also talk about: Batman Beyond #2, The Amazing Spider-Man #653, Daken: Dark Wolverine #5, Invincible Iron Man #500.1, Hulk #29, and Superboy #4. And if that isn’t enough we also added a new feature to the podcast, we are now taking YOUR questions. So if you’ve ever had a question for the ComicImpact team, feel free to submit it because we just might answer them for you. How awesome is that? Super awesome. GO! Get to Itunes and download it, and then listen to it, that’s the best part.